Donald Trump’s presidency is fast turning into a defining moment in the history of the white nationalist movement - just not in the way that it might have hoped. Clues in the president’s language and behaviour led the alt-right to hope that he might really be one of them, and critics to accuse him of inciting racial hatred. But beyond the so-called ‘Muslim Ban’, Mr. Trump’s promise to rip up the immigration regime has remained just that, leaving white nationalists in a limbo between mainstream political representation and their old trench on the fringes of right-wing politics. White nationalists increasingly see President Trump as a friend by convenience. Alt-right darling Richard Spencer, for example, greeted his victory with an exuberant “Hail Trump”. Now he briefs his followers with more scepticism than Fox News, as months of stalling on ‘America First’ policies roll on. 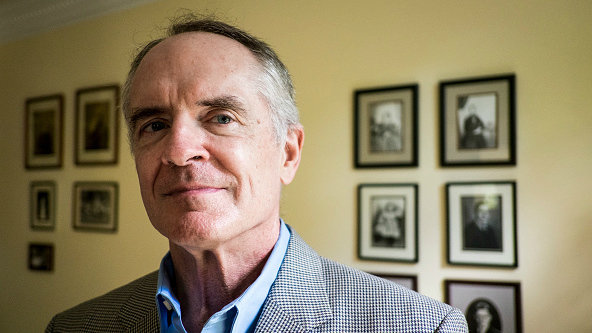 Jared Taylor, founder and editor of American Renaissance (which describes itself as “the Internet’s premier race-realist site”), says the alt-right’s loyalty will stretch only as far as the president manages to stop “discrimination against whites” and “slow the reduction of whites to a minority”. Mr. Trump’s flagship campaign promises were music to the ears of self-described “white advocates”, whose numbers swelled under Barack Obama, even if many were quick to suss out the new president’s opportunist streak. Deporting illegal immigrants, revoking Mr. Obama’s executive amnesties, overturning birthright citizenship and limiting immigration and travel by Muslims - why care if he was co-opting their language to seduce voters, as long as he delivered on policy? For some, Mr. Trump has still managed to defy fears that he would be swallowed up by the Washington establishment. Kevin B. MacDonald, the retired psychology professor who edits The Occidental Observer, another alt-right stalwart, names Mr. Trump’s decision last month to end the CIA’s covert support for Syrian rebels and resistance to calls for more troops in Afghanistan as major achievements, and a kick in the teeth for the “neoconservatives” who make up the GOP’s traditional wing. This narrative - President Trump versus The Swamp - is changing the face of white nationalism, and the role it sees for itself. The alt-right, once known as the youthful Internet-based wing of hard-right politics, is quickly expanding its physical presence. Adherents want to defend their newfound foothold in mainstream political life and to see Project Trump through to completion. On the other hand, liberal-leaning watchdogs such as Political Research Associates point to reports that groups such as the Proud Boys and Identity Evropa are training for combat and appearing alongside known instigators of violence such as neo-Nazi groups. Every new far-right gathering and every rally staged in support of Trump sets the stage for another clash between those hardline alt-rightists and organised squadrons from leftist groups like Antifa. Both sides have been reported to avow violent intentions before turning up to demonstrations, and both have had members arrested for acts of violence. Neither side is talking to each other. Several watchdogs have proscribed alt-right organisations as extremists which endanger minorities, while figures such as Mr. Taylor cast them as pawns of America’s left, the villains in a tale of media-sponsored persecution. Leaving aside the question of its merit, this aspect of the alt-right’s narrative is proving remarkably effective. During Mr. Trump’s presidency, the Internet has become a platform on which extreme ideas about race and cultural identity are becoming common currency. White nationalism is taking on a new shape: the Ku Klux Klan and other traditional groups have faded to obscurity in the eyes of the alt-right. Despite their often revolutionary and aggressive tone, many of the new groups are more interested in street brawls with anti-Trump protesters than in KKK-style premeditated terror. On the other hand, some fear that the entry of white nationalist ideas into the mainstream will lead to more severe violence elsewhere. For example, former intelligence figures worry that the Trump administration’s attempts to reconfigure the Department of Homeland Security’s Countering Violent Extremism programme around radical Islamism might allow right-wing extremists to go unchecked. Although Islamist terror has reportedly claimed more lives in recent years, far-right terror attacks are more frequent and are less likely to be foiled. The ‘Unite the Right’ gathering in Charlottesville, Virginia, on August 12 will see what some are touting to be the largest gathering of white nationalists in decades. Counter-protests are planned and another cycle of violence, followed by a total lack of dialogue, seems almost inevitable.